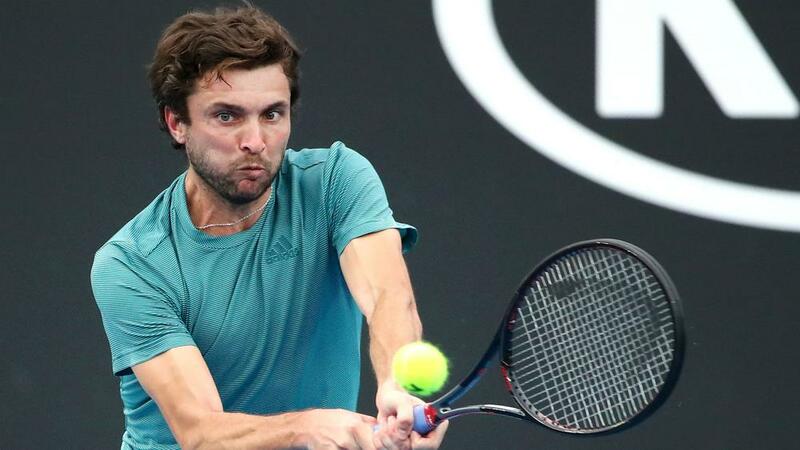 Gilles Simon had to come from a set down to avoid seeing his bid for a third Open 13 title come unstuck in the first around against fellow Frenchman Antoine Hoang. Sixth seed Simon lost five games in a row to surrender the opening set, but he broke at the right time in the second and third to seal a 5-7 6-3 6-3 victory over the wildcard. "I expected a tough match and I'm very happy that I won. I've won a couple of matches after being a set and a break down, so I didn't feel like I was close to losing," said Simon, winner of the tournament in 2007 and 2015. Australian Open semi-finalist Stefanos Tsitsipas is seeded first and will begin his tilt in Marseille against Hubert Hurkacz. The Pole sent down 13 aces as he defeated Filip Krajinovic 6-3 6-2. Mikhail Kukushkin overcame Denis Kudla 6-3 6-3, meaning he will face fourth seed Denis Shapovalov in round two.